Spotify is beating Apple. Now what? Spotify and Hulu are joining forces in an attempt to draw more subscribers to their platforms. The companies said Wednesday that a $12.99 per-month plan will get you access to Spotify's ad-free music streaming service and Hulu's basic package that allows you to stream TV shows and movies with some ad breaks. Paying for both services separately would set you back about $18 — $9.99 for Spotify Premium and $7.99 for Hulu. 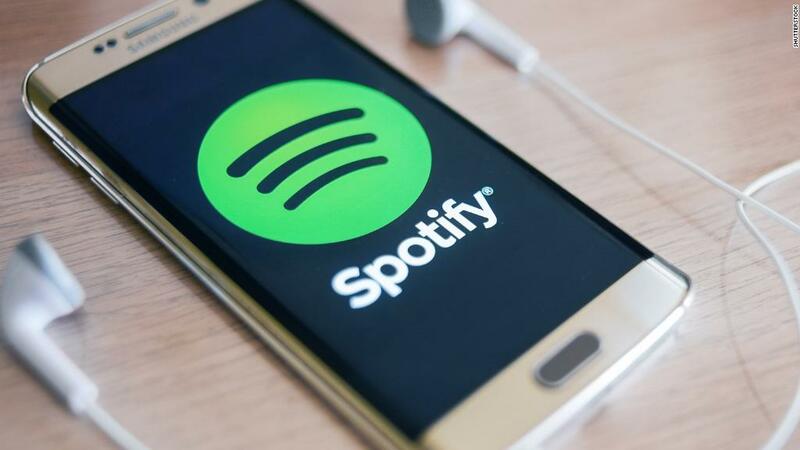 The 71 million people who already have a $9.99-per-month Spotify Premium subscription will be able to grab the offer beginning Wednesday with an even steeper discount for the first three months. They'll be able to try out the Hulu subscription for $10.99 -- just one dollar more per month. The $12.99 offer will be extended to everyone this summer. Spotify spokesperson Alison Bonny said the deal will be available "indefinitely." Hulu and Spotify (SPOT) began offering a bundled subscription package to college students in September for $5.99 per month. Alex Norstrom, a Spotify executive, said in a statement Wednesday that the bundled package was "incredibly well received." Spotify, which made its debut on the New York Stock Exchange last week, is likely hoping the partnership will Hulu will attract new subscribers. While Spotify has roughly twice the number of paying customers as rival Apple Music, it's bound to face stiffer competition as Apple bolsters its original content as it goes "all-in" on TV. Meanwhile, Hulu has lagged behind rival Netflix, which has more than 85 million subscribers. But the platform has seen a surge in membership — growing to 17 million — thanks to popular original content, like the drama series based on Margaret Atwood's novel "The Handmaid's Tale."